KUALA LUMPUR, 15, November 2018 — Chubb announced today the appointment of Adeline Loh as the Chief Distribution Officer to lead the continued growth of its agency and broking distribution channels in Malaysia. 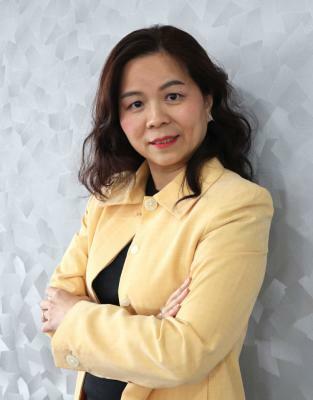 Ms. Loh joins Chubb with close to two decades of industry experience in Malaysia and across the Asia Pacific region. Prior to returning to Malaysia, Ms. Loh was based in Hong Kong, leading the North Asia Agency business for an international insurer. She was Head of Agency with one of the major insurance companies in Malaysia where she worked for more than 16 years in a variety of roles prior to leaving in 2016 for her North Asia stint. In her new role with Chubb, Ms. Loh’s primary responsibilities will be to oversee the overall growth and development of Chubb’s agency and broking distribution channels. She will also spearhead the development and implementation of strategic initiatives to bring Chubb’s distribution proposition and business in Malaysia to its next level of growth. “I'm delighted to welcome Adeline to our team for this important and challenging appointment. With her blend of experience, business acumen and passion, I have every confidence that Chubb’s agency and broking channels will thrive under her leadership,” said Steve Crouch, Country President for Chubb in Malaysia.